Another change could be coming to drivers licenses in Maryland. 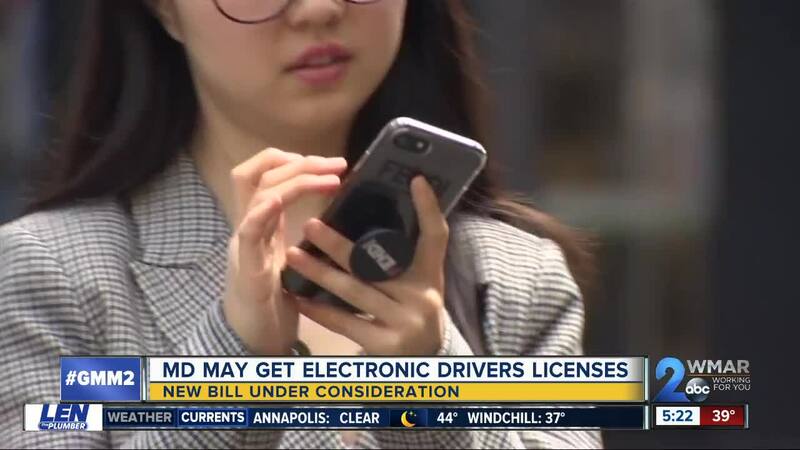 A new bill would allow drivers to use of a digital version of their ID. Through the mobile driver's license app, users would be able provide a QR code to the person requesting their identification. That's that scannable black and white square. Police would still have access to all information on the physical license, and cashiers would only be given the person's name, photo, and age. If passed, the digital license would not replace physical licenses entirely. If a police officer is unable to access a digital ID, a physical copy would still be required.